This doco is about architect Bjarke Ingels’s ‘8’ building in Copenhagen. 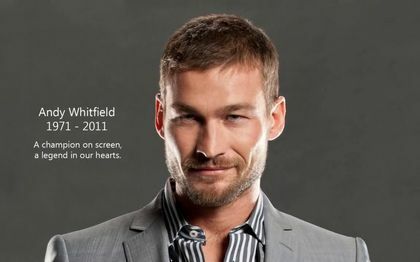 https://www.youtube.com/watch?v=MAPEioSNvDc Be Here Now- The Andy Whitfield Story. “An inspiring love story between superstar, Andy Whitfield, of “Spartacus” fame and his charismatic wife, that reminds the audience that the journey is more important than the destination.” http://www.beherenowfilm.com/ In a way it wasn’t an extraordinary story because we all know someone who has gone through the anguish of cancer but maybe that’s why it was a good story. It reminds us to be here now, that cancer is not choosy, that it can happen to a gorgeous movie star who has the resources to travel to India and live in a beautiful house or it can happen to our neighbour, our children, ourselves. A friend of a friend mentioned in passing that her friend’s son died recently aged 23, of a brain tumour. My Sam is 23. It frightens me but all I can do is remind him to check on any suspicious-looking mole or lump or pain, not ignore it, even if it is nothing and then Be Here Now.